From his early days, Brandon helped his grandmother in her garden. He was always passionate about tomatoes. If you love gardening, you've probably already asked an expert or yourself this question: "How often should I water my tomato plants?" Don't worry, you're not alone in this quest. This guide has hundreds of people reading and sharing it each day. Plenty of people all across the globe take to tomato cultivation, not only because tomatoes are relatively easy to grow and sustain; but the fact that they are used in plenty of different cuisines, in a variety of ways - more ways than you can imagine. They don't grow anywhere and anytime - Tomatoes cannot be grown everywhere and not all through the year. There are plenty of tomato varieties to pick from. Speak to your local gardening club or neighbor to find out what grows best in the region. Sunlight is important - Tomato plants need sunlight in order to grow well. So, make sure that you place your plants in a sunny spot of your garden, not too hot though. Read on to know more about these settings. Nutrition - No matter how well you water, if the plants are not receiving the right nutrition, there isn't really much you can do - apart from getting this problem fixed. 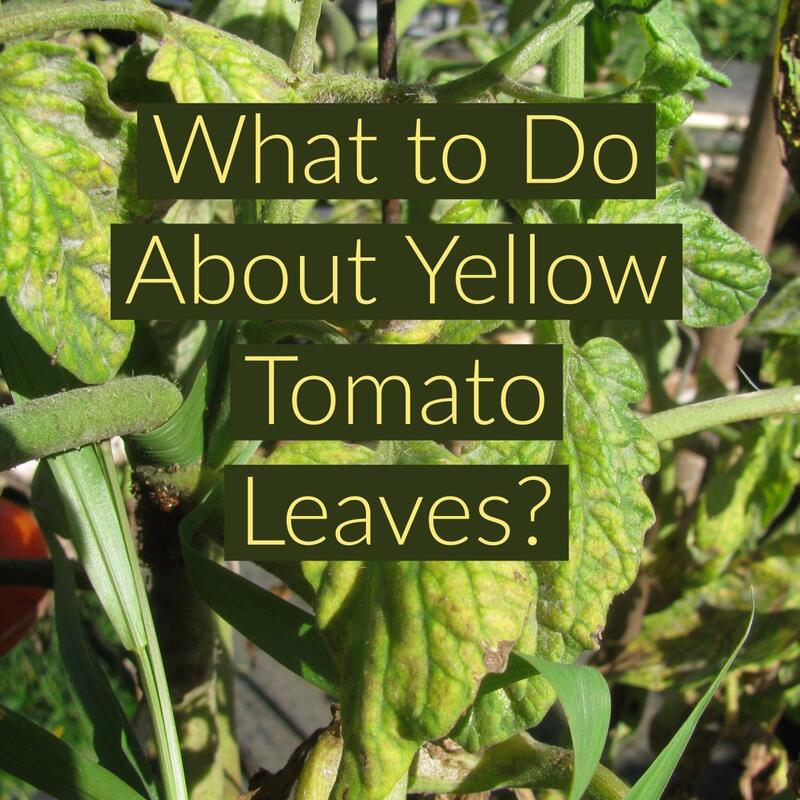 Check your tomato plants for yellow leaves, as this is a sign of bad nutrition. Watering tomatoes - This is definitely a skill. But, it's not rocket science and can easily be mastered. You could even teach your kids and maybe have them grow their own crop this season - it's an amazing learning experience and a chance to bond. Before we proceed, I would like you to vote and see how often other people across the globe water their tomato plants. You could use the data to compare yourself with others and I'm sure that you will also be convinced that there is no single way to do it right. But that's nothing to worry about, as through this article I will teach you how to find out what works best for your locality. So put on your thinking cap and buckle up! The journey begins now. Poll: Watering Tomatoes -- What Do You Do? Rain water for your plants. Caring for tomato plants when away. How often to water tomatoes? The art of watering tomatoes is easy to master. Trial and error is one way to build up your skills. But with the right watering techniques, you can become a pro this very growing season. On following these guidelines you can also develop your very own watering techniques. Water Slowly around the tomato plants allowing sufficient time for the water to enter the soil, run away water is just a waste and it steals nutrients from the soil. Let the water soak in at least 5 - 6 inches of soil. Water tomatoes only when they really need it. Maybe you need to water twice a day, to begin with, just moisten the soil (don't flood the plant). The roots need air too, so don't drown your plants. Water at the stem rather than the leaves. Try not to water directly on the stem of the tomato plant but around it, this encourages roots to spread. Water early in the day if you use a hose, bucket or any other manual form of watering. Do not water in the night as moist conditions and low temperatures increase the likelihood of tomato plant diseases. Mulch acts as a moisture regulator and also a source of nutrition. Definitely give this a thought, if you don't already implement it. The main purpose of watering your tomato plants is to ensure that they have sufficient water to sustain themselves and perform their necessary physiological activities. Therefore, when watering, you don't want to flood the plant, only to have most of the water run off (with nutrients and top soil). Instead, you are going to need to water slowly, giving the water time to actually seep through the soil. It is recommended that 6-8 inches below the soil is moistened when you water tomato plants as this stimulates root growth in this region, which is directly related to the amount of nutrients the plant can reach. One thing that you could do is come up with your very own drip irrigation system. It's not at all difficult and can be done at a very cheap price - under $2, in fact! Check out the video below for a sample irrigation system. When you use a drip irrigation system you ensure that the soil is moist all the time, but not flooded - this gives the roots room to breathe. With reference to the video below: if you don't want the bottle to hang up as shown (which can be unsightly for some) you could also place it below the soil, only keeping the opening above ground so that you could refill the bottle when needed. 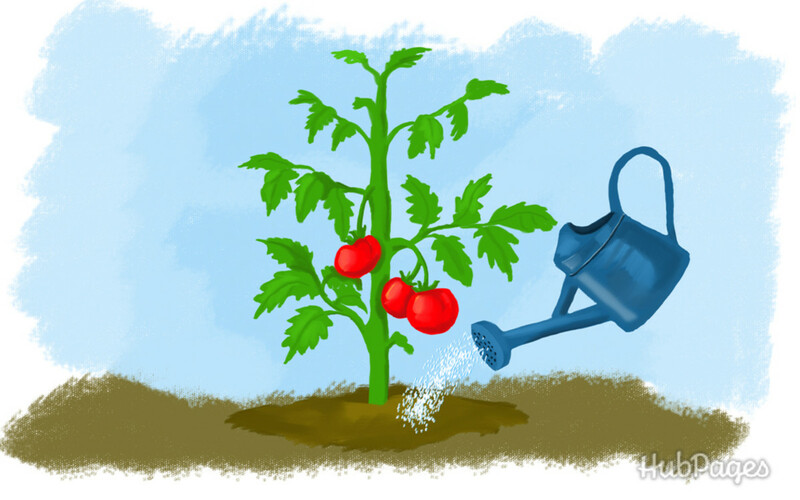 First off, know that there's no exact formula as to how often you should water your tomato plants. This is something that you'll need to work out based on experience. All you need to do is regularly check on the soil a few days and see when it's turning dry. If you've noticed it becoming dry really quickly, don't be afraid. Instead, just try something new such as mulching or maybe a new method of watering -- drip irrigation as mentioned numerous times already works best! In some regions you just need to water the plants once a day, whereas in other places you could end up watering them multiple times a day. There are also a few moist areas where merely watering once or twice a week is sufficient. If you notice your tomato plant drooping sometime around mid-day, do not worry too much about it because they will be back to normal near sunset. But if they are still drooping after sunset, this is a sign that the ground is too parched and you would need to water. But only do this the next morning. (Refer: Pro Tip 1). There are problems associated with watering tomato plants in the night. (Refer: Pro Tip 4). Plants drooping in the sunlight isn't always because of a lack of water, it is also a reflex mechanism developed so that the plants minimize surface area in contact with the direct sunlight, which in turn reduces transpiration (loss of water from the leaves, etc.) or in simple terms evaporation. 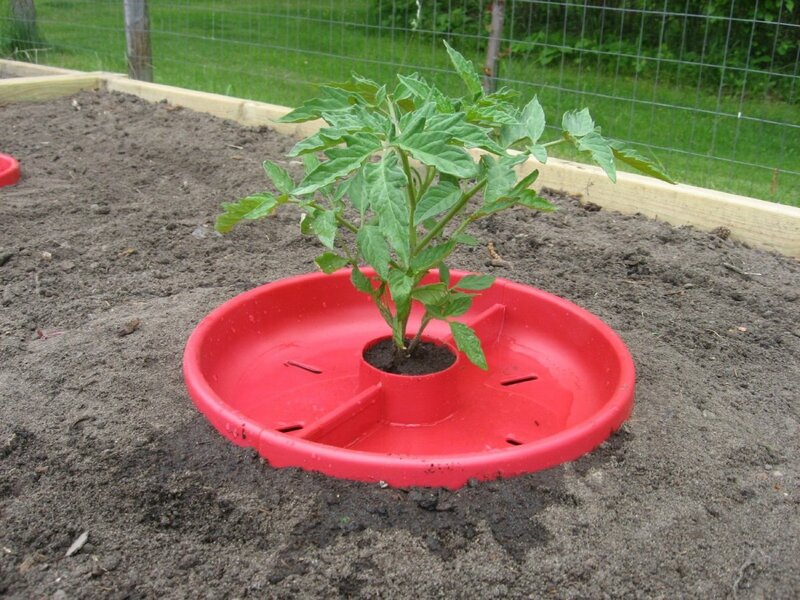 Always water your tomato plants at the base, not from the top. If by chance you do want to water on the leaves, make it a point that you water the plants early in the morning before the sun is up. If your water supply isn't pure - if it is hard water or you've mixed in fertilizer (organic or chemical) I suggest you stop watering on the leaves, as this just damages them, preventing optimal functioning and food preparation when the sun shines. As already mentioned earlier, when I say watering at the roots, this does not necessarily mean watering directly on the ground near the stem. It's best to do it a few inches away around the stem (form a circle around the stem) as this will not wash away soil near the stem which is very important, especially if you do not have external support for your tomato plants. You could also use Tomato Craters as seen below. They are really helpful in a sense that they let water seep into the ground slowly, you don't need to reduce the flow rate from the garden hose anymore. They also suppress the growth of weeds around the tomato plants. Moreover, they are red and reflect some of the sunlight back onto the plant which helps with photosynthesis as per some studies. As stated earlier, watering on the leaves and fruit can increase the likelihood of some tomato plant diseases. But you may ask the dreadful question: Why!? It's quite straightforward really, most of the tomato plant diseases are a threat under moist conditions. But this isn't the only necessary condition for the disease to foster and thrive. They also need relatively low temperatures. So putting two and two together, it is obvious that you shouldn't water your tomato plants in the night, even if they seem droopy. When you choose to water at dawn, the plant has sufficient time to absorb water and begin the process of photosynthesis while at the same time, if by chance water fell onto the leaves, stem or fruit it would dry up before the midday sun begins to burn the plant up through these droplets. In case you do not know what mulch is, it is an organic layer of leaves, hay, coconut husk, wood pieces or pine cone pieces. There are plenty of other forms too, if interested Google it. Since it's organic, it would decay over time and also be a source of nourishment for the plants. If you mulch your plants well, you're not going to need to water them as often, since the rate of evaporation from the soil is drastically reduced. So, when you mulch you may end up watering just once a day if you were previously doing it twice or more times a day. If you don't already have mulch, you may want to check this coconut husk mulch out. It lasts for really long and is my best choice. I do not buy my mulch as coconut husk is easily available, my home being in a tropical location. 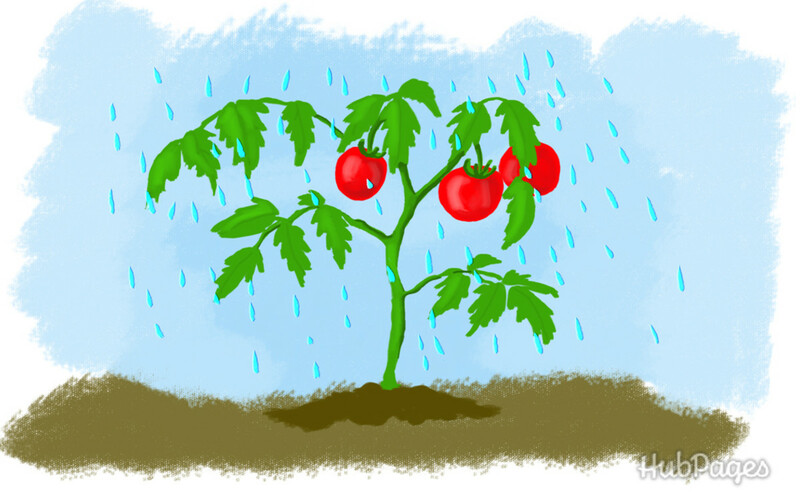 Rainwater is the best source of water for your tomato plants. Rainwater is the best for plants as it's natural and has no added chemicals during the processing stages. Moreover, if you've got hard water in your region, the salts are not the best for your tomato plants or any other plants for that matter. If you do happen to have a rrainwaterharvesting system at home and an underground storage, one of the best ways to make use of this water is in your garden. Give it a shot and you would see improvements, if you've already been gardening for a while. How do I water my plans if I'm out of town? This a common question you'll come across, as we all need to go on vacation some time or another and we can't just leave our gardens to dry up. Most of us have neighbors who would be willing to help, but not all of us are that lucky. Programmed Drip Irrigation Systems: These aren't expensive to install and are also very easy to operate and maintain. Therefore, if you go on vacation often or don't have the time to water your garden yourself, you could program it to water your plants everyday at a particular time. Check the video above for a simple super low budget drip irrigation system. Placing plants in a basin of water: If your plants are in pots, you can always place the pots in a basin of water. Make sure that the plant is above the level of the water as you don't want to flood it. Water will enter through the exit hole, via capillary action. Make sure there is sufficient leverage between the pot and water as you do not want to flood the roots either. Mulch: If you're taking a short trip (3-4 days), you could solely depend on your mulch to keep the plants alive and healthy until you return. Again this depends on the local conditions, but this is a ball park figure that works well in most cases. Enlivened water is an ancient method wherein the water is stirred clockwise, about 40-50 times and then the plants are watered. While it is an ancient method, modern science has backed this method, as spiraling water gains energy, since it’s in motion. Watering tomatoes with this water does make them grow healthier according to some studies. I'm not an advocate of this method and I've not tried it out as I find it "crazy", but that's just me. 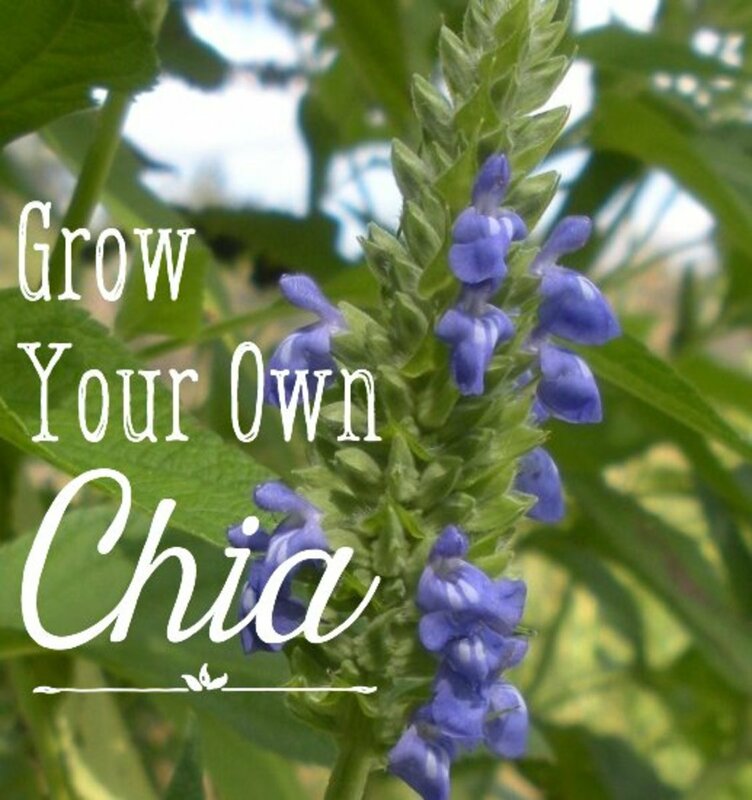 Maybe you've tried it out in your garden or heard about it somewhere? If yes and you have something to say about it, please do leave a comment below. Watering tomato seeds and seedlings is a whole different story. Germinating tomato plants from seeds is a very simple process, but you only see the best results when done right. Since this is the first step of the tomato plants growth, you are going to want to make sure your plants get the right start. How often you water tomatoes is a major concern most people face, especially the first time around. It is important to have the soil moist, not flooded. The soil needs to be damp at least 6 - 8 inches below the ground to stimulate root growth. Watering once a day works best for most regions. In case you aren't sure, begin by watering once a day and go from there. The tips above are definitely going to guide you and would help you make informed decisions rather than random guesses. It should go without saying, that knowing how to water tomato plants properly is the most important skill when it comes to growing tomato plants. Adding the right fertilizers at the right stage of growth is probably the second most important, else you would have foliage and not many fruits. I've written a separate guide on fertilizing tomato plants and I suggest you take a look at that to know more. According to the article published on the website of the Ohio State University [source], tomato plants in the garden require in general 1 to 1.5 inches of water per week. But how much is 1 inch of water in gardening terms? This is by far not a standard unit of measure. This is what it means: you're going to need 1 to 1.5 inches of water in a square foot of soil. A square foot of soil is 12 inches by 12 inches which makes it 144 square inches and the volume would be 1-inch times 144 square inches which is 144 cubic inches to 1.5 inches times 144 square inches which is 216 cubic inches. But how much water does this convert into? Using this calculator the values I get are 0.62 gallons (2.27 liters) to 0.94 gallons (3.56 liters). I use another simple calculator to convert gallons to liters. Check out the video below to better understand this concept. In hot weather, it is more important that you water regularly. I bet you're now wondering how much water do they need per day. This is a hard question to answer. Do we just divide the above by 7 days? It does make sense and that's roughly the amount I water my plants. Of course, I didn't begin my measuring. The amount I water is based on my own experiences and the conditions my plants grow in. You could probably begin by dividing the weekly amount to count for seven days and adjust from there. 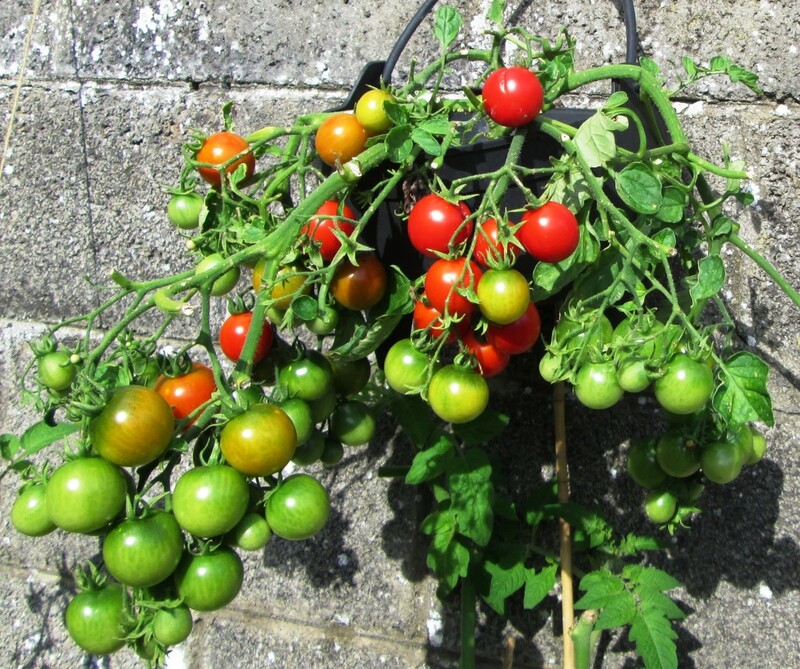 How Often Do You Water Tomatoes in Containers or Pots? If you're not certain on how to water tomato plants grown in pots, this is the section for you. First and foremost, I hope your pots or containers have drainage holes. If not, you're going to want to change the pot, else you'd have to be extra careful with watering to make sure that the soil is not too moist or too dry by manually checking it every day. The thing to keep in mind with pots and containers is the fact that they cannot retain water, so all you should do is moisten the soil. You're going to want to make sure that you do not pour too much water as the excess that drains out also carries with it some essential nutrients. 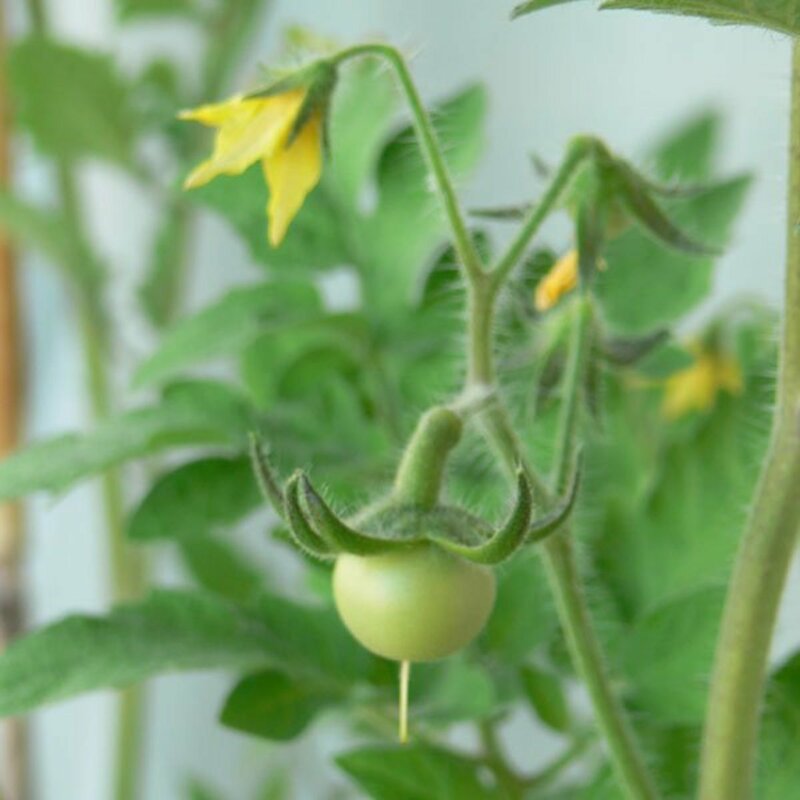 I personally choose to water plants in containers twice a day, once at dawn wetting up the entire soil and once in the evening (just a bit) especially during fruiting as failure to do this could lead to the tomatoes cracking open. 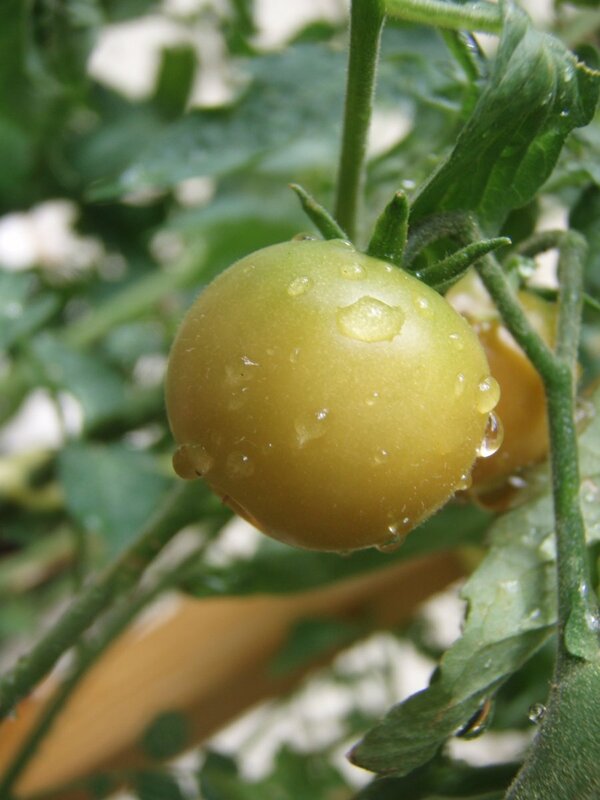 Tomatoes crack open when the plant gets water suddenly after a brief dry period. I have a pot which allows me to water my tomatoes from the bottom. The soil tends always to be damp. How do I know it’s not too wet? If you have a pot that allows you to water from the bottom, I assume you have a tray that holds your pot and that it has drainage holes at the bottom? If this is the case, you can not over water because the soil will only absorb water until it is wet and not completely saturated (diffusion). But, I would not want my soil to be completely damp, because I would rather have my tomato plants grow roots deep into the pot in search of water so that they have a strong foundation and don't fall over when they begin fruiting. More importantly, the more the roots spread, the more nutrients they can absorb. 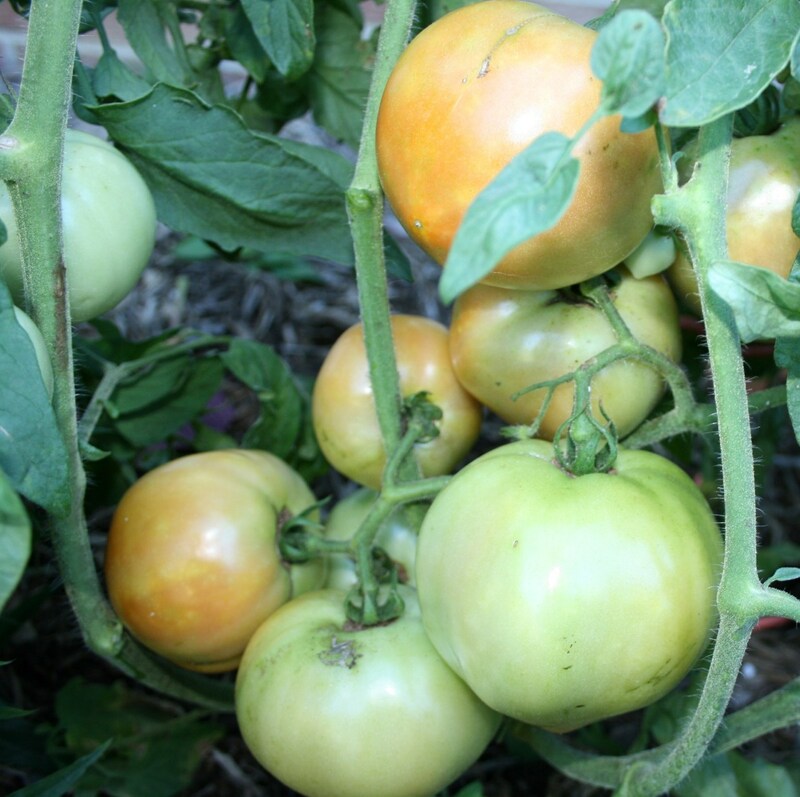 How often should I water a tomato plant when there are tomatoes already on the vine? Water the same as you always did. But once tomatoes are on the vine, it is important that the watering stays consistent. Dry spells followed by a lot of water can make the tomatoes crack. Can I have your opinion on a 1/2 gal/hour dripper for 30 minutes, twice a day for a potted tomato plant growing in Atlanta? I do not live in Atlanta, so I can't tell you how much water a plant there needs. Also, two pots in the same room with similar tomato plants could need different amounts of water. Find out what works for that pot by watering and letting the water drain out. Do not let water stay in the collection tray. Also, before your next water make sure the top of the soil is not moist. Let it dry out a little before you water again. Of course, you can transplant it to a larger pot. Just make sure that the plant goes in along with the soil from the current hanging basket. Also, do not break many roots, you could try and separate the roots to loosen them up. But this is done best when the soil is dry. Look up a video on Youtube on transplanting grown plants. My potted tomato plants have done much better since I started watering them every day to the point that I see water in the drip pan. Here in the pacific northwest (west of Seattle, Kitsap Peninsula ) we have had a hot, dry spring & summer. Temps have begun to cool down so should I change my watering regimen? I do not think you need to. When it comes to containers, this is, in my opinion, one of the best ways to do things. I personally choose to water from the top, the way you are doing it only when the plant is freshly transplanted. But, after the plant has a secure foundation and begins to grow, I water from the bottom by pouring water in the tray and letting it diffuse up the soil, this encourages the plant to grow deeper roots. Do all types of tomatoes need to be watered the same way? Pretty much, yes. Keep an eye on the soil moisture and you're good. My tomato plant is in a container. Can I place my plant in the garage while gone for a weekend? This is kind of a hard question to answer without knowing more about the condition of the plant and your garage. I would rather place it in your bedroom or some other place where there is a window and some sunlight. If not, a weekend is not that long and two days in the dark would hopefully not kill the plant. I strongly advise against it, but if you have no other option, risk it. I’m growing two tomato plants, both in pots. The new flowers seem to be drying up before forming any fruit. Am I waiting too long to water? And I do water at the base of the plant and some of the lower leaves yellow. Does this sound like I’m not watering enough? And what do you recommend for maintaining or adding nutrients to the soil? Are the leaves of the tomato plant drooping before you water them? If yes, is this during the hours of really bright sunlight? If you answered yes again, do your leaves get back to usual in the evening? If the leaves are getting back to their usual state in the evening, it's just a defense mechanism that the leaves are drooping. However, if your leaves are drooping and they stay that way, it's an indication that the plants need some water. Also, most plants tend to protect their flowers and fruits, and so the leaves would be affected before the flower. Therefore, I can say with a high level of probability that this is not a watering issue. Also, I am not sure how experienced a gardener you are. Do not take this to heart if I treat you as a newbie. But, the petals of a flower do drop off before the fruit can grow. If it's just the petals dropping off, don't worry. Also, all the flowers on your plant should not be dropping at the same time. If all of them are falling off at the same time, it's definitely got something to do with an external phenomenon, watering could be one of them. A lack of nutrients in the soil usually results in a lower quantity of flowers and fruits or no flowers at all. It's unlikely that the flowers will grow and then fall off. I've never really heard about watering with coconut water. The coconut is a seed and the water does contain essential nutrients, so there's no doubt it would help. But how much and how often you should do this, is something I cannot answer. if I choose to put a varibale of coconut water on my plant to help the growth how many times a week and how much should i poor on my plant? Oh, I appreciate the lengthy reply and thanks for taking the time to come back and write this response. I totally agree with what you say about anaerobic bacteria, etc. If you do notice a smell in your mix even when it's not airtight, you should add in some cardboard shreddings, dry leaves or plain white paper into the mix. For what you say to work, you need to have fertile soil that is moist enough for the fungi to propagate and I think you have that. Beneficial fungi are amazing and the life force of the world and I did try to inform people about this on my other article that deals with fertilizing tomatoes and how fungi transport phosphorous to the roots of the plant in exchange for starch. I personally do use tea leaves, but this is what I currently do: Collect, dry in the sun for a bit, grind it up a bit more and then sprinkle around the base of the plant. I'll give your method a shot. I'd never use the nylon stocking method and never really knew that people do this, thanks for the educational response. With hundreds of people reading this article each day, some times thousands, I'm sure many others will benefit from your response as well. I was out of town hence the late response. When making biota tea many organic gardeners put the worm castings in a nylon stocking. The problem with that is the materials used in the tea become compressed and the oxygen doesn’t penetrate the dense ball. Often this will cause anaerobic bacteria. These are the “bad” bacteria that causes soil diseases and pathogens. I always use loose materials and stir them often. Even then I’ve noticed a bad smell for a moment. The good bacteria will eat the bad bacteria in short order. When applying this tea it is best not to soak the plants as it reduces the oxygen around the root zone. Better to water the plants lightly and cover more ground including pathways between rows. The largest life form in the world is a fungus. It covers an area of many acres. The fungi from this tea can actually feed plants much farther away. I noticed after watering my trees with tea a year later my neighbors trees greened up. Also the bacteria continues to multiply as long as there is sufficient organic material. When these life forms reach land where chemicals are used it will discontinue growth. I urge you to try this tea. You can also add fertilizer to the tea but be cautious. The more diversity the better. Add compost ‘ leaf mulch and even things like aquarium or pond water. One teaspoon can have hundreds of strains of bacteria numbering millions of each. Please forgive the lengthy reply. Thanks, Chrispeterson for your feedback. What are you referring to when you say: nylon stocking method? Stirring water before using is beneficial because it oxygenates the water. I’ve read about other benefits. I’m not convinced about them. However. If you make a biotic tea that has worm castings and other soil foods it is amazingly helpful as it adds bacteria and fungi. Used to inoculate the soil it grows and eventually feeds soil much farther away. Many sites will give recipes for this tea. Do not use the nylon stocking method as it can cause anaerobic bacteria. Better to stir the sediment. Grow stores sell air stones and a small air pump to oxygenate the tea. I would be willing to bet that “enlivened” water from stirring it up does deliver better results. However, I suspect it would simply be the increased oxygen levels such agitation would improve. An aquarium, aeration stone with a small air pump would provide similar, probably even better results. I'm glad this could help Trina. I am so glad I came across your article. Over and over in articles I have seen the statement of 1" of water per sq ft of soil. Your explanation and demonstration of what this actually means really helped me to understand this better. Thank you. Overnight? That's weird. If you're not exaggerating I have no clue how to help, sorry. Any idea why my tomato plants would turn brown overnight? They looked so healthy the day before! Also why would they not be ripening? I bought a tiny cherry tomato plant and planted in a pot on my 4th floor balcony. (the pot has a drain hole). It gets 5.5 hrs of direct sunlight every day (when the sun is out), and a qt. of water every morning. Happy plant!!! That's an interesting theory, thanks a lot for commenting hysu. I'm going to assume that the fauna in the soil cannot extract oxygen from water, you need gills for that. That's why fish love it. But I wonder whether oxygenated water is better for plants. I may have to give this whole enlivened water thing a new look from a different angle. I have never heard of enlivened water before, but stirring it could put more oxygen in the water. Not sure how that effects tomato plants directly but fish love super-oxygenated water and beneficial garden critters like earthworms and ladybugs probably love it too. That's interesting. Sad about the blossom end rot issues you face. But I guess you learn from your mistakes. Do you still grow tomatoes in containers? Awesome and thorough! An excellent example of an authoritative article - I have bookmarked it for future reference. My last home had very sandy soil, and we had to water twice a day. Those red 'tomato craters' would have been a helpful addition. One very dry year we had a real problem with blossom-end rot, caused by erratic watering. My bad - we kept forgetting to water in the morning, would get home late, and then leave the poor plants for yet another day. Not good crop that year. I only grow things in containers in my new home. And they have to be fast growers as our season up here is very short. Hello ,I’m very new to planting Tomatoes. I just bought some at a local store and they are in small square placstic pots . I want to transfer them to a long rectangle planter I have will this damage them?i read how to water them and they need sunlight but how do I put my mulch on them does it go on top or inside the hole? This is a project my grandson and I are doing so I want to see good results. They will be in a planter on my porch . Thanks for the help! Hey Jim, I did say very clearly that I'm not an advocate for the method. But a complete article on any subject needs to include everything and that's what I have done. You need to make sure the roots find some water if they go looking for it. It's best to water a bit every day if you're not sure. Just don't over water. The lower portion of the soil retains water for longer so roots would naturally grow there. But if you live in a wet region, you could try what you suggested. Is watering tomatos on odd days be best to make roots "look" for water? What is opinion on watering from the bottom? Really well-written. Very informative. thank you. I think squirrels are eating my tomato. any advice? Thanks for the info very helpful. In the fall I add leaves and grass clippings and rototil the soil. I have been adding worms they seem to fertilize and loosen the soil. Question; do they deleted nutrients or add that benefit the soil! Hi Jackie, that's amazing! 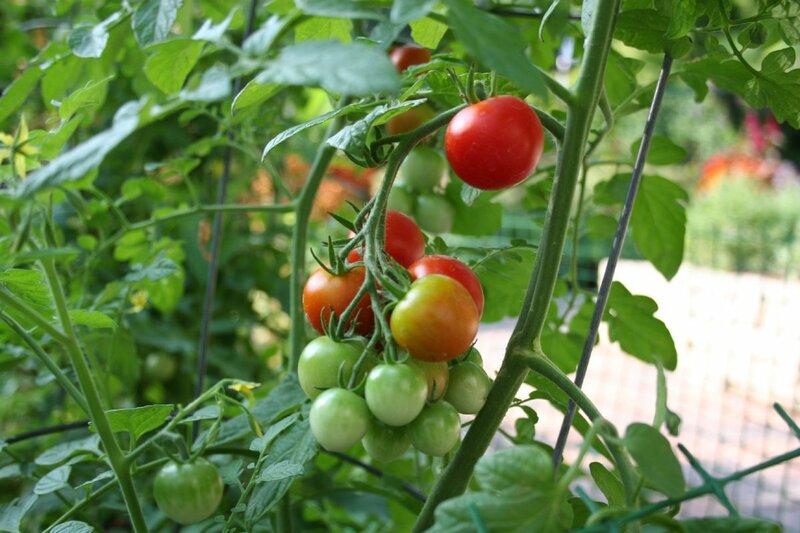 Tomatoes generally crack when the fruit has grown completely and the plant receives more water than required. It could be after a heavy rainfall or just you watering them after a dry spell. It's not a disease or something to worry about. Just make sure that you pluck the cracked ones and use them to make some sauce or salsa. Also, if you notice the tomatoes are grown and you hear of a heavy downpour approaching, go ahead and pluck the ripe and semi ripe tomatoes, they don't taste that good if you pluck them after they've absorbed all that extra water. what causes tomatoes on the vine to crack. they seem healthy otherwise, we have more than a 100 on two plants. seriously. Hi Susan, that's really interesting. I should look into that and I would definitely add it to the article. Thanks again. I would like to add that my husband and I use a moisture meter on our new plantings. They don't cost much and take out a lot of the guess work out of watering. This is very helpful. Thank you for the guide to raising tomatoes. God bless! I have something odd going on with my tomato plants. The veins are really dark, nearly black. And my plants don't seem to be growing that fast. Is there a place I can post a picture? I googled the problem and the only thing I found is that I may be over-watering. That's a good looking tomato in your photo, and I'm sure it was delicious when it was time to eat it! I live in Bakersfield, CA. Hot and low humidity. I was told yesterday to back off on my twice a day watering so thee fruit would grow. (one of my plants is over 4' tall. I have lots of blossoms, so far, not a lot of fruit. Hi Denis, that's really cool if you use water from your well. Tomato plants and all plants in general would surely love some pure water rather than the treated water we usually receive through our taps. This is really useful hub.I have garden and we use water from the well. The mulch I've always used is just coconut husks or hay, haven't tried anything in specific because the nutrients that are needed for the tomatoes are already present in the compost added. But, for tomatoes something acidic would be fine and they'd possibly grow well. If you do try it out let me know. Your mulching comment has me interested. What would be the 'ideal' mulch for tomatoes? Something acidic I would assume? Any tips on watering in hot humid weather? I am in GA and so far, so good, with the tomatoes. They are all still green but one plant's leaves are turning yellow. I water once a day -- surely not too much?? Any tips?? That's great! I'm sure you'll get a great crop if you take care of the plants. Wow! That's more than double my age :) I'm sure you'll be an expert by now. Would love to read some of your hubs if you do write any on this topic. And getting this from you is really a compliment. Thanks so much Joaniebaby. We have grown tomatoes for over forty years and have always just let them grow and hope for the best. Usually that works out pretty well, but not always. I am definitely going to watch my watering this year and see what happens. Thanks for the useful Hub. In frosty areas you'd have to be careful while watering - I mean the time of the day. Nice hub! Tomatoes are really very tender plants: here in Central Europe they are mostly grown in warm houses because on the open area they can easily get frosted (sometimes at night the temperature here can fall below 0 C). That is why, good watering is also important to keep the soil a little warmer. The addition of Earthworms was just advice from a person who loves gardening - Me :) It's not exactly a part of watering tomato plants, but earthworms are usually present in ground soil. I agree completely. Drip irrigation takes care of water-logging the plants, which tomato plants hate so much. As for the addition of earth worms- uuh? Great info, voted up. Haha :) I find earthworms to be a great help. If you've taken the soil from your garden, I'm pretty sure there'll be some in it already. I am pretty sure earthworms may be where I draw the line. I guess that makes me not a true gardener, but I do have my limits. haha. This is very timely information for me since I just planted some tomatoes. I planted them in a container and I may consider adding a small amount of mulch if that will help keep the moisture in. This is some very useful information on watering tomato plants. My dad used to grow some huge tomatoes here in Kentucky. The plants were called Big Boy Tomato plants. The fresh tomatoes were so scrumptious. Thank you for sharing! Great! Just a bit of experience and research helped me through :). Btw these tips work for almost all plants and not just for watering tomatoes. I love to plant tomatoes but I don't think I water them right so your tips will help a lot. Thank you.